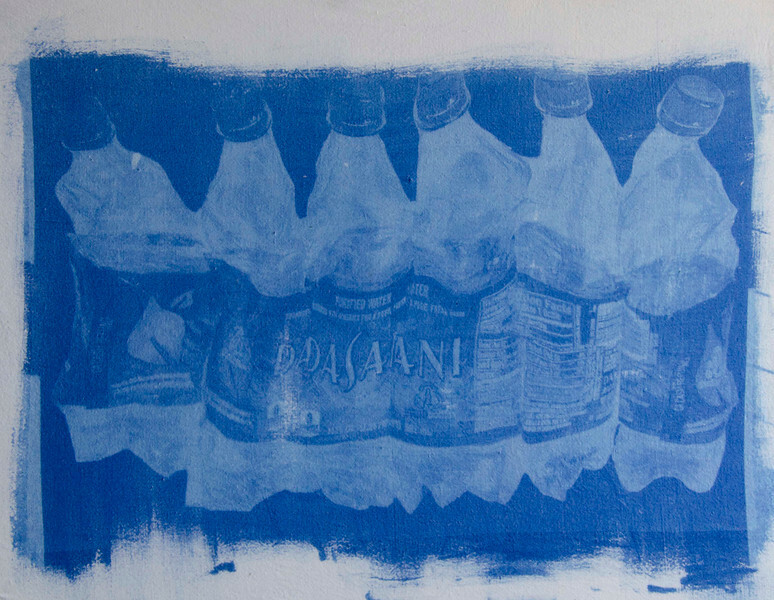 "Dasani Water" -- An image from the series "Deconstruction" by Jerome Sturm. The image is the blending of over sixty different photographs into one image. The image is then printed onto fabric using the Lumi Inkodye process. All rights to this image belong to Jerome Sturm and it may not be republished without permission.